a nationwide mobilisation in preparation for the strike which is set for November 6, 2018. Labour leaders say they are very serious this time. 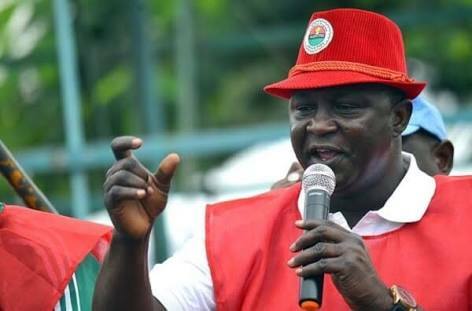 The President of the Trade Union Congress, Bobboi Kaigama, told The Punch that the strike will go as planned should the government refuse to peg the minimum wage at N30,000. Kaigama said the devaluation of the naira coupled with the high inflation rate had made life unbearable for Nigerian workers. The Special Adviser to the President on Media and Publicity, Femi Adesina, had said last Thursday that N30,000 as minimum wage for civil servants was not feasible. Speaking during a Channels TV programme, Adesina said even if public office holders sacrifice their entire pay, that will not still make such minimum wage achievable. “I think in the spirit of negotiation, labour should not insist on N30,000,” he had said. However, Kaigama said unions would take the Federal Government more seriously if the salaries and allowances of government officials were slashed. He added, “Let them cut their allowances first. Let them reduce it by half then we will know that they are serious. Our demands are realistic. It wasn’t Nigerian workers that devalued the naira. It was not Nigerian workers that caused the inflation to rise.